While the thoughts of an extra bathroom or a good neighborhood can make you quite excited, not every family member , especially kids can anticipate what is about to happen next. Moreover, it is nothing but obvious to say that moving the house can be quite confusing and unsettling for the kids. If your kids are small, then the problem becomes all the more obvious. Settling in new house can also mean starting up a new life and adjusting to the changes. While the change can be quite positive, it requires some time to get used to it. Moving with kids moreover, requires you to be careful at every step. Although you cannot avoid the unforeseen, here are a few tips and tricks to help you ease the process. While you cannot expect your little one to understand what a new house means, bringing it up frequently in your conversation and talking about it will help shape the toddler’s ideas. Use phrases such as “you will have a bigger bedroom in your new house” or “there will be a small garden for you to play in”. This helps in shaping the mental ideas of the child and makes him prepared to view some positive changes. While coming to inspect your new home and its surroundings, bring your kids along. Let them explore the parks, the streets and their surroundings freely. This will help them get familiar with the place they are about to shift to. You wouldn’t want your child to feel misplaced even before the move. Hence, you must pack up his belongings only at the last. Packing up their room too early moreover can make them get confused about what is happening. Hence, due to irritation, they might get difficult to handle. Since you yourself would be too busy in loading, packing and unpacking, it’s quite difficult to handle kids under such situations. Hence, you must arrange for alternative child care. Moreover, witnessing their home undergoing such changes can be quite stressful for the kids. Hence, you must do whatever you can to make the process a smooth one for the kids. Even if you are taking help of House Removalists Melbourne, you must go for day care to ensure smooth process. Moving itself is going to come up as a big shock for your kids. Hence, you need to avoid other big changes during this transition period. Moreover, if there is potty training to be done, delay it for a while and let the child be his own self until everything has settled. While most other members can still survive in the new atmosphere, your child needs a little more. Hence, you must prioritize setting up his room and make it familiar by setting up toys, blankets and bed time stuff. While he will still know that he is at a different place, the familiarity is surely going to help. Kids love presents. A toy, a rocking chair or may be a small bike would do wonders to make the child indulge and have fun in the new house. This distraction moreover, will help your child to adjust with ease. First night in the new place which still requires some settling is usually the hardest. Moreover, you need to have some patience and give your child some extra cuddles and pampering. Keep your own frustration away to ease the tension. Moving a house is definitely a complex job. Moreover, it can be quite exhausting especially if you have kids around. There is also a dual responsibility of keeping the flow smooth and keeping your kids calm. 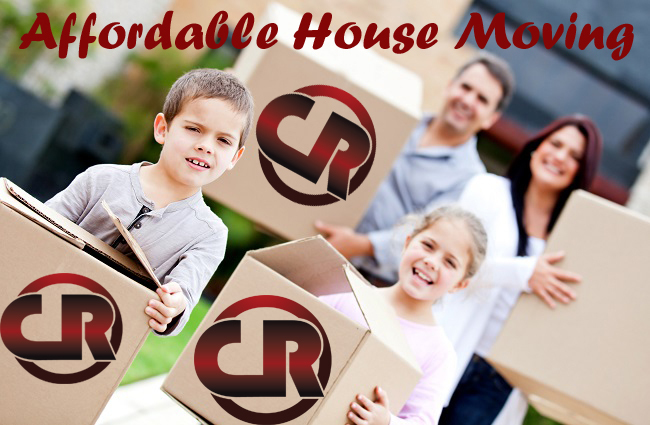 Hence, these House Moving Tips will be beneficial if you are planning to move with kids. Moving into a new house can be terrifying. If you’re planning to move we will make your moving process simpler and easier, Contact Capital Removalists today to discuss your move!